The complete 2019-2020 Curriculum Guide can be viewed here. 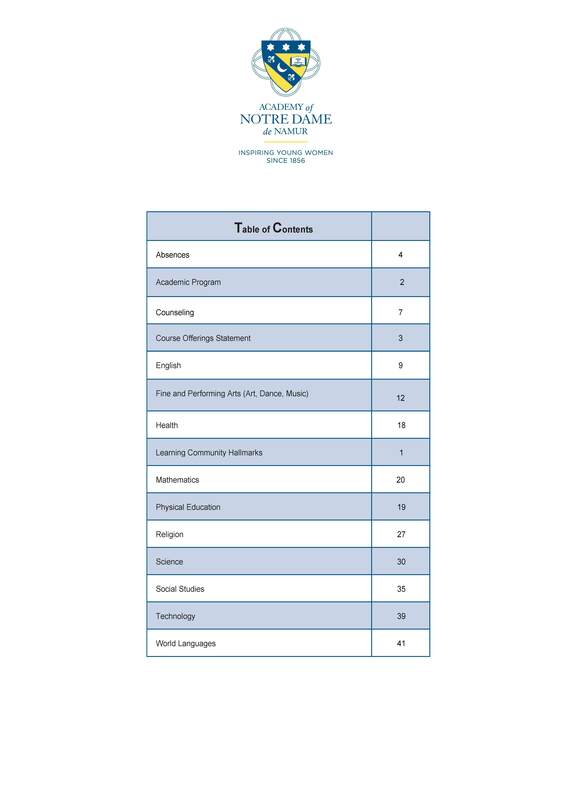 Each high school student must earn a minimum of 24 credits in major subjects at Notre Dame in order to graduate, as well as meet all the additional credit or course requirements outlined below. Six major subjects must be taken each year. Eleventh and twelfth grade students are strongly encouraged to take electives each year. The required 0.5 credit in the Arts may be earned in grade 10, 11, or 12. All ninth grade students are required to take Intro to Visual and Performing Arts unless they participate in High School Ensemble or audition and are selected into Dance Company or Women’s Chorale. In addition to academic requirements, a minimum of 45 hours of social service during high school is required for graduation. These hours should be completed by September of junior year.